In this modern days, not many hawkers would still continue the tradition of painstakingly handmade their food. I mentioned Chey Sua Carrot Cake in my earlier post whereby they still steamed their own radish cake for their fried carrot cake. 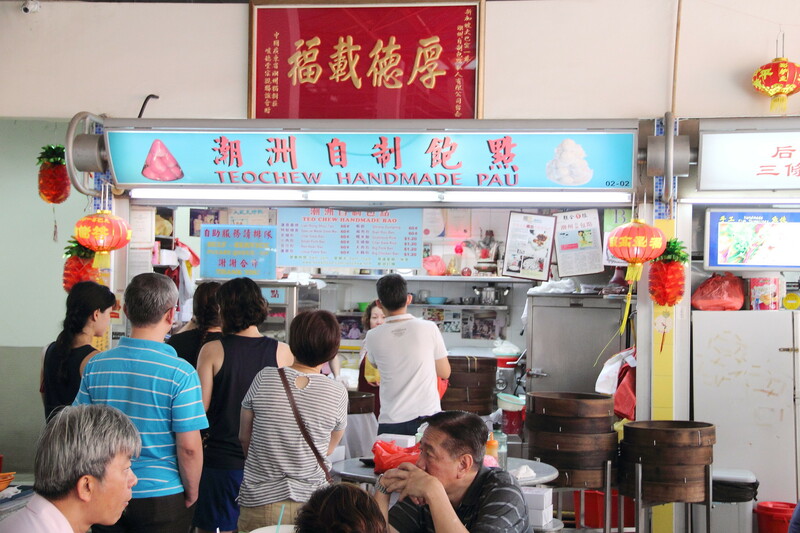 Just a few stalls away at the same food centre is Teochew Handmade Pau (潮洲自制包点) which is started by Mr Yeow Eu Tiew in 1993, still continues to handmade their Teochew Pau. 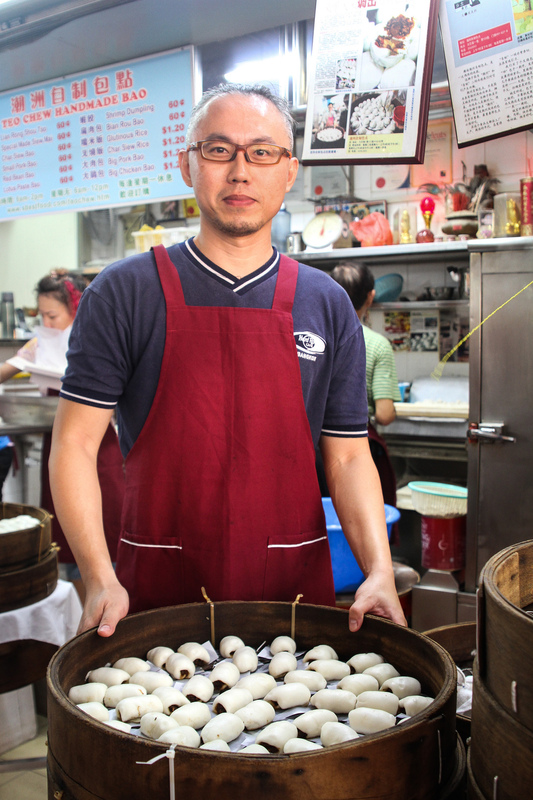 Richard Yeoh is the 2nd generation of Teochew Handmade Pau (潮洲自制包点). He has given up his mechanical engineering job to help out his dad. As he shared with us, things were not smooth in the beginning. There was a clash of the old ways and his new methods to quantify the recipes. Richard has also started a central kitchen to supply a small quantity of paus to the hawker stall. He explained that having a central quality does not mean using machines to make their paus. The Paus are all still handmade at the central kitchen. One advantage of having a central kitchen is better quality control and consistency. For example, a pau will be exacty 30gram in weight so as a consumer you will not be felt cheated too. 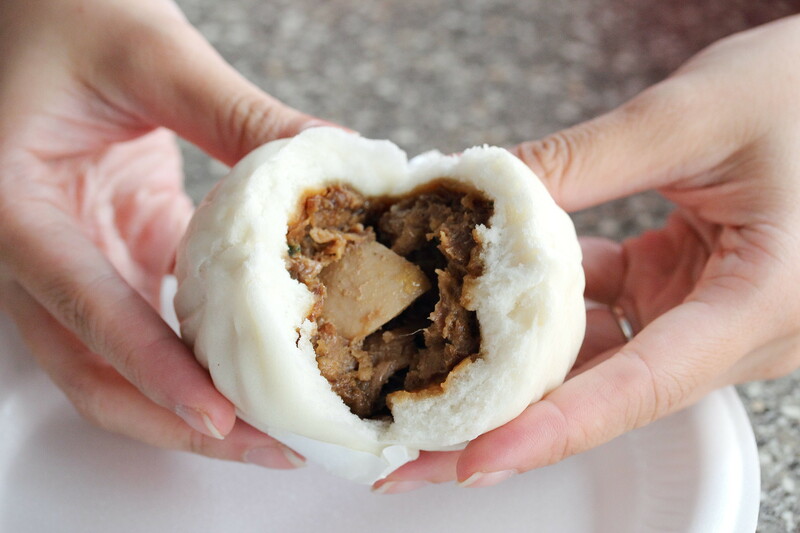 Teochew Handmade Pau offers a variety of their delightful steamed bun but one of my favourite is their Big Pork Bun. The flavourful and juicy pork filling together with the soft fluffy skin is a winner for me. I understand from the owner a lot of efforts are put into ensuring the texture of the skin is soft and fluffy, such as the type of sugar used, the proportional of water and flour. 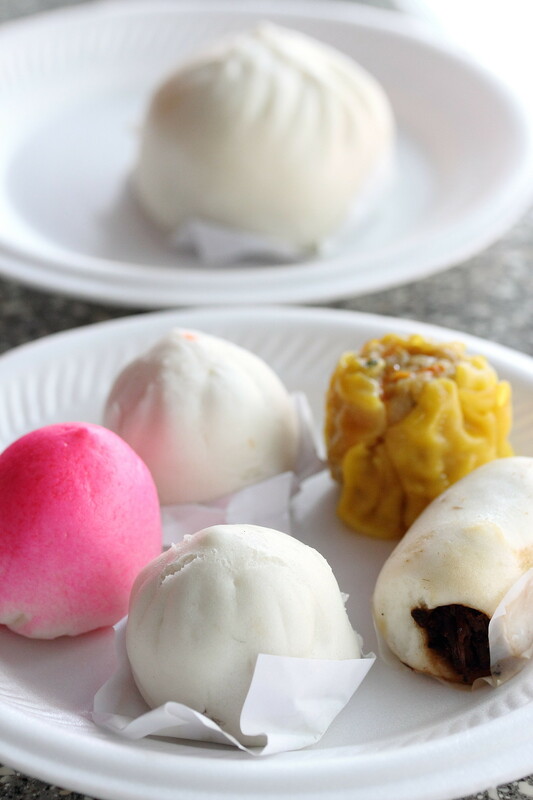 The different types of Teochew Paus sold at the stall are smaller in size compared to most that you see at coffeeshops. This means you can enjoy more and a variety of the delightful bite size snack. Another difference at Teochew Handmade Pau is their Char Siew Bun and Stewed Pork Bun (Kou Rou Pau). The fillings are minced and leaner instead of the usual Cantonese style buns where you still can find small pieces of meat inside. On top of that, the Siew Mai is also substituted with fish instead of the usual prawn. Here is a video of Teochew Handmade Pau done by Republic Polytechnic's Diploma in Mass Communication students winning them the too prize in the City Hawker Food Hunt Video Competition 2013. It captures the heartfelt story of continuing the heritage of Teochew Handmade Pau (潮洲自制包点). 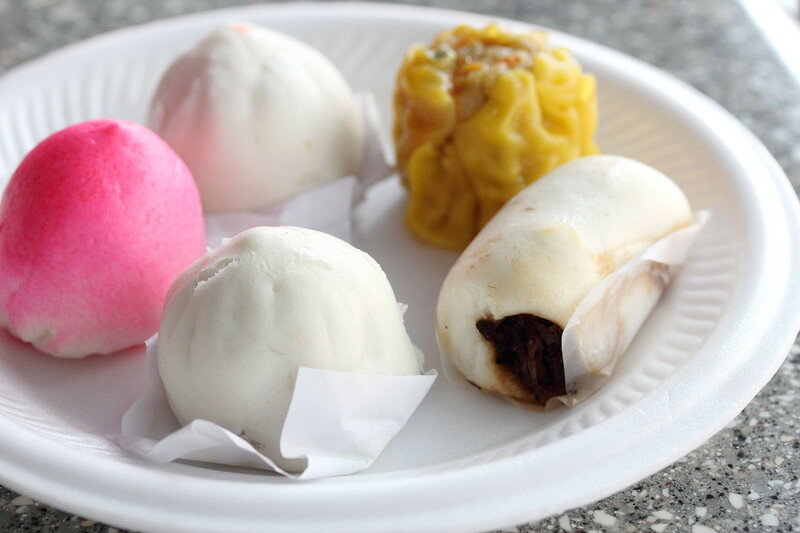 I am very glad to announce that Teochew Handmade Pau (潮洲自制包点) has agreed to take part in this year Ultimate Hawker Fest 2014. They will be selling an assortment of their handmade buns to raise fund for charity. The assortment with consider Small Pork Bun with Egg, Salted Egg Yolk Longevity Bun, Char Siew Bun, Siew Mai and Stewed Pork Bun (Kou Rou Pau).